human behavior and helping others to understand how to maximize their own potential. 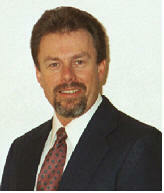 In 1988, Brian became the President of a service based, restoration franchise. This opportunity lead to his developing and implementing new training systems that not only improved the entire franchise network, but enabled the franchisees to increase their overall sales and success. He also has developed a franchise sales process utilizing behavioral and attitude assessments to help identify the right person for the right franchise. On the entrepreneurial side, Brian has helped smaller companies in a wide variety of industries with approaches and tools that have improved productivity, rapidly increased sales and reduced employee turnover. With Brian's specialized expertise and his state of the art training systems, he has helped organizations and individuals improve productivity and employee relations in Spain, Italy, Singapore, Malaysia, Argentina, Brazil and throughout the United States. In addition, Brian has partnered with educators, high school and college students, as well as adults in career transition with successful career planning strategies. 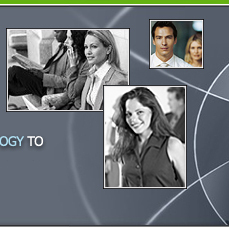 Based on natural behavior styles and current motivators, individuals now can make better career choices. Brian holds a Bachelor's Degree in Business Administration specializing in Human Relations as well as several technical degrees in the tooling and engineering field. This strong technical background uniquely qualifies him to develop approaches that create lasting change within technically-based organizations. One of the many tools he uses is the DISC behavioral model to train companies on effective communications skills and also increase profits. Brian carries the designation of Certified Professional Behavioral Analyst (CPBA), Certified Professional Values Analyst (CPVA), Certified Attributes Index Analyst (CAIA) and TriMetrix Certified by TTI Performance Systems, LTD.
Brian has been married to his wife, Cindy for 33 years and they have 2 children, Jason who is a Pharmacist living in Columbus, Ohio and Kristen who is a Rehabilitative Athletic Therapist and Exercise Physiologist living in Pittsburgh, Pennsylvania.